Virginia is home to a variety of kid-friendly wineries. I don’t have kids but I have friends with kids; however, I know (based on a completely non-scientific survey of parents in my circle of friends) parents still like to drink. In fact, on some occasions they may need a drink more than me. 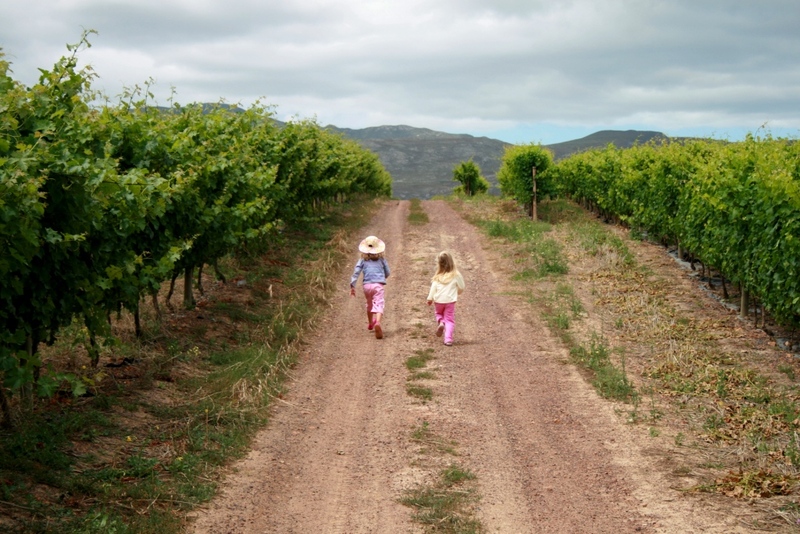 Granted, there are some wineries that do not allow children, but many do. In fact, virginiawine.org allows you to search for wineries that are kid friendly. From what I can tell, “kid friendly” usually means there’s plenty of space for them to run around and use their imaginations, or play with an iPad. If you’ve been to any of these places without kids, you’d probably agree that they don’t feel like you’re drinking wine in a daycare center and most of the kids I’ve seen at wineries are amazingly well-behaved. Letting kids run around for a couple of hours in the great outdoors seems not only kid friendly, but parent friendly as well. There’s no shortage of wide open spaces at Virginia’s wineries; however, there are a few that actually cater to kids so raise your sippy glass for these top family-friendly destinations. Barrel Oak Winery – Wine Enthusiast Magazine named it a Top Family Friendly Winery. Not only is there plenty of outdoor space, but kids are given complimentary juice boxes and dogs are encouraged and roam the grounds as well. Pack a picnic and enjoy it on their patio. Potomac Point Vineyard and Winery – They have a playroom for kids with toys and a television. Outside food is allowed in the picnic area and pets are welcome. DeVault Family Vineyards – They have a variety of activities for kids of all ages including an indoor pool with a diving board, basketball and volleyball courts, and a stocked pond. Pets are welcome. Early Mountain Vineyards – They allow outside food; however, they also have a kids menu featuring grilled cheese and peanutbutter and jelly and Oakencroft Farm juices, which are made from wine grapes, but are non-alcoholic. For the adults, there’s a locally-sourced, gourmet menu with a variety of meats and cheeses, paninis, sandwiches, small plates and deserts like warm donuts and ice cream with caramel sauce. Games such as Banana Grams and Connect Four can be found in the tasting room as well. What are some other great kid-friendly wineries? I am a wine adventurer who loves nothing more than imbibing in the culture. As a young wine drinker, I think Virginia's wine industry is approachable and is gaining popularity which makes this a very exciting time to live and drink in the Commonwealth.